I LOVE how dark meat in the crockpot turns out. It just falls apart and still stays juicy and moist. 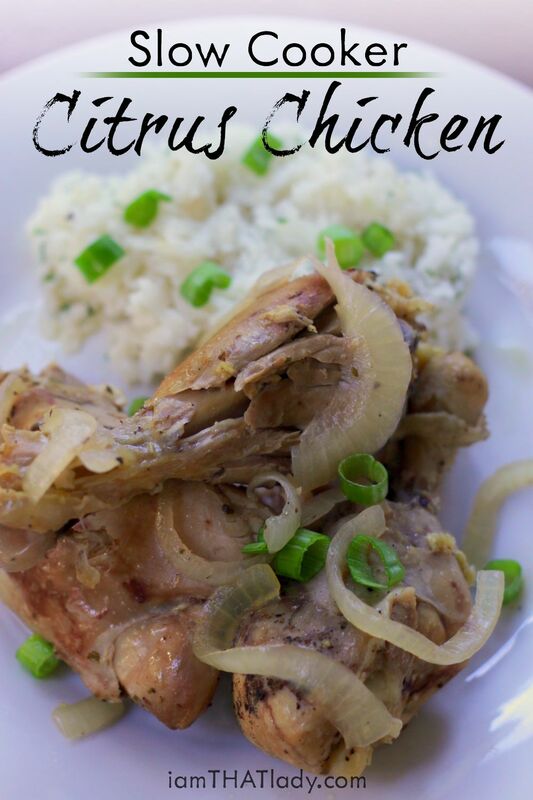 This Caribbean inspired Citrus Chicken is a great example of that. Orange juice, lime juice (or lemon, but lime is better) meld with the cumin, oregano and cilantro so well. This is one that you will want to marinade first. Or better yet, prepare for freezer cooking in a freeze bag. That way, the marinade action will occur as it's thawing. For this, I also decided that it works better if you remove the skin from the chicken. The marinade penetrates a little better, and I'm not a huge fan of chicken skin in the crockpot. 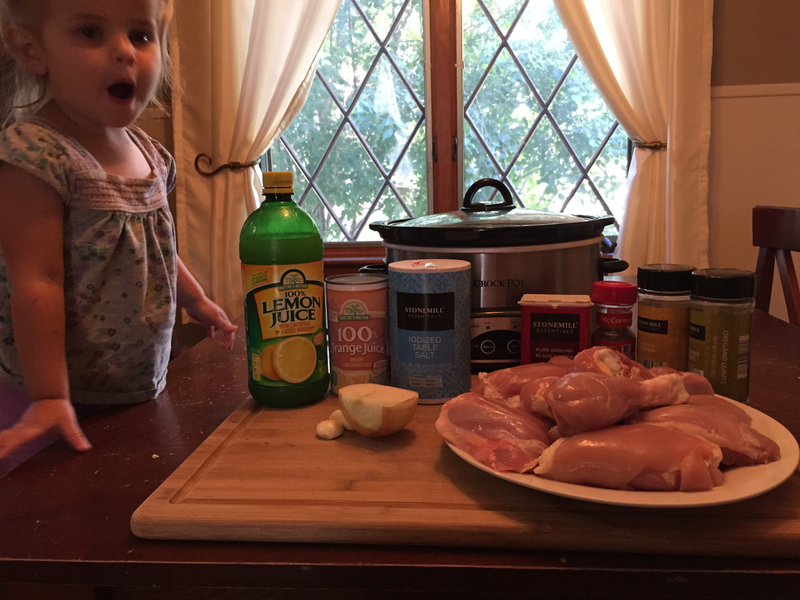 So here are the ingredients (helper not included). I used lemon juice this time since I didn't have an limes or lime juice on hand… it still turns out GREAT. Just toss everything in. Note – I didn't marinade it this time, I just threw it all in. Still turns out great, but marinading first is better. Also, I'd recommend putting the onions on the bottom of the pot. 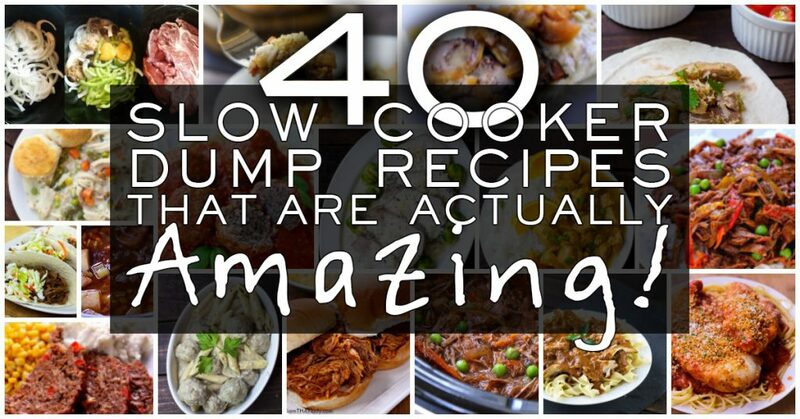 they cook better that way. Cook on high for 4 hours, or medium for 6. 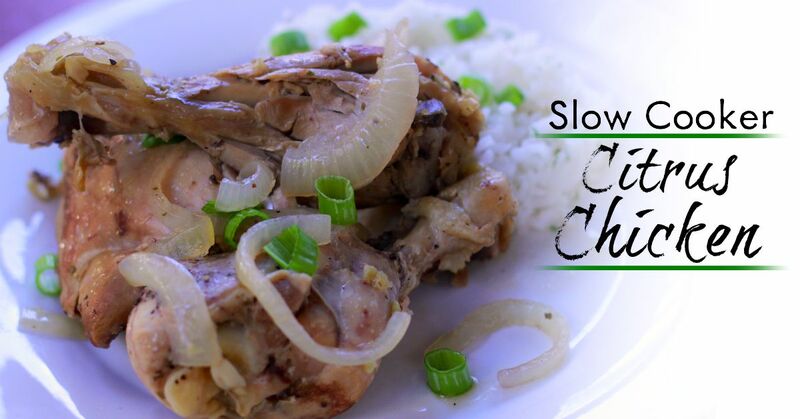 Simply remove from the crockpot and serve with rice! It couldn't be easier. 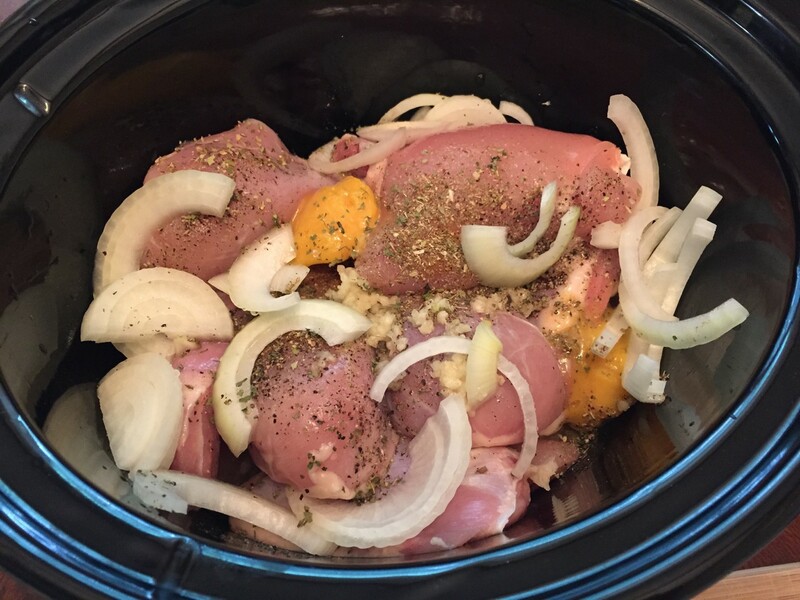 This Crockpot Citrus Chicken has AMAZING flavor. Orange juice, lime juice and spices like cumin give it an awesome Cuban flavor! Combine all ingredients in a freezer bag or large bowl. Marinade for a few hours or overnight. 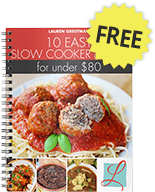 Cook in slowcooker for 4 hours on high, 6 hours on medium, or 8 hours on low.